Four nurses and a team leader from Scripps Health left San Diego on Friday on a three-week trip to help survivors of the devastating earthquake in Nepal. The contingent will work for the International Medical Corps in a mobile field hospital, according to Scripps Health. The Himalayan nation was struck by a magnitude-7.8 earthquake struck on Saturday — Friday night in San Diego — near the capital of Kathmandu. The death toll has climbed past 6,100 and could end up much higher, authorities said. The journey to Nepal is expected to take three days, and the nurses aren’t sure yet whether they’ll be sent to Kathmandu, villages near Mount Everest or elsewhere. “There’s so much in between there, and all of these rural villages — there’s so many unknowns of how much devastation is there and what the monsoon season will do in terms of the trails, and the access to getting there and the mudslides,” nurse Jan Zachry told 10News. Three San Diego-based relief agencies are also providing help for victims of the quake. International Relief Teams’ first shipment of antibiotics, analgesics, bandages and dressings was delivered Thursday, with another shipment scheduled for next week. 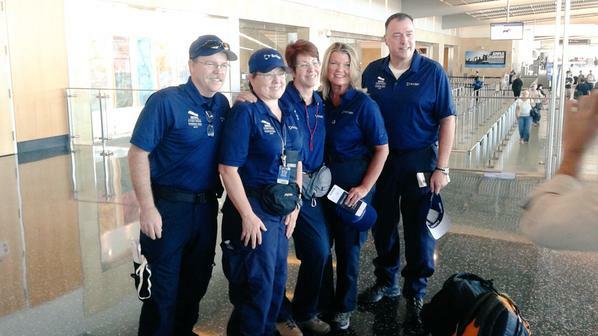 The Rescue Task Force is providing support to the work of volunteers in Asia who made their way to the region. Restore International has started a relief fund for victims of the earthquake. The organization runs an orphanage for girls in Kathmandu and reported that they were safe.